The Caterpillar 3512 Generator Set is in 2017 custom made by Ad Gevers [abc] from The Netherlands. 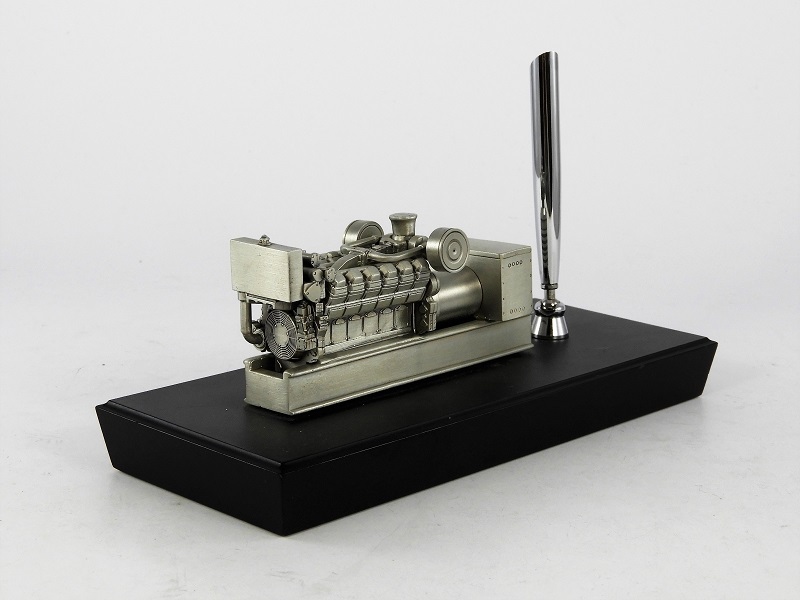 Once in a catalog of Buffalo Road Imports I had seen a black and white picture of this luxury fountain pen desk set with Caterpillar 3512 generator licensed cat product which was made in the in the eighties by Tonkin Replicas under article #L8586? (According the sticker on the bottom plate) of Pewter material in 1:50th scale. Intended as a promotional gift and provided with a nameplate, they were often given after many years of loyal service. I was therefore pleasantly surprised when I after so many years found this set a few weeks ago at the Dutch EBAY and was given the opportunity to buy the set for a decent price from co-collector Ben Gelijk. 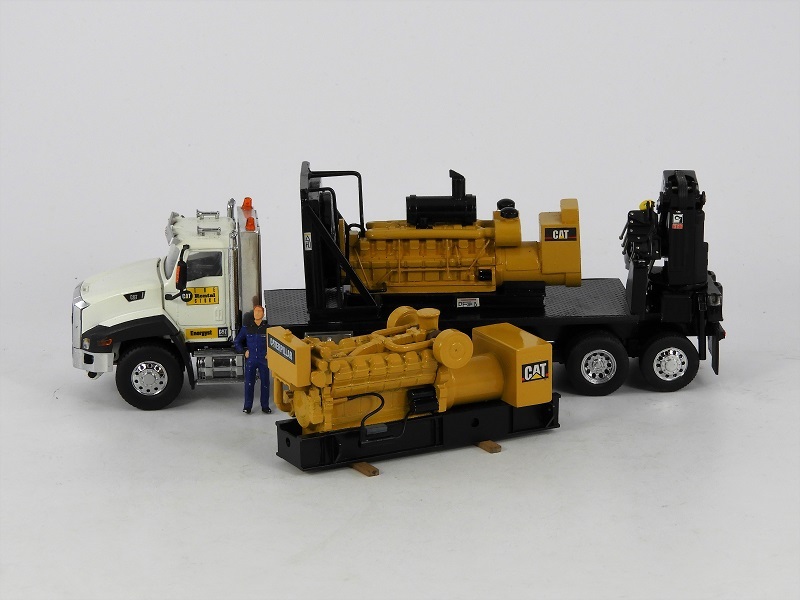 The Caterpillar 3512 Generator set Ad Gevers created is a "one of a kind" custom scale model. He dismantled the donor set from its wood base and added (as he always does -)) extra details including some scratch built features. As you can see it turned into a true museum piece and a very valuable and unique addition to my Caterpillar collection!